The Irish Government has been forced to make a second denial in two days that it is preparing to go to the EU for a multi-billion euro bail-out. On Saturday night reports suggested that Irish officials had already held talks with the European Financial Stability Fund about a rescue package of between €60bn (£51bn) and €80bn. European Central Bank officials were also reported to have urged the country to take emergency aid in order to stop concerns about the Irish economy spreading to neighbouring countries. Germany is said to be pressing Ireland to seek aid before a November 16 meeting of European finance ministers to calm market volatility and win agreement on making investors help pay for future bailouts, according to Bloomberg, citing a German government official. 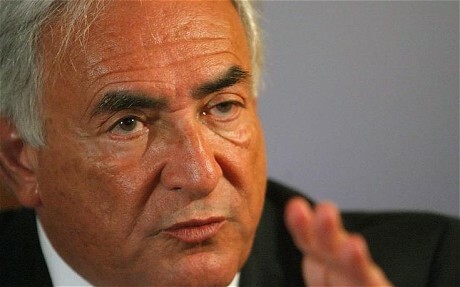 Dominique Strauss-Kahn, managing director of the International Monetary Fund (IMF), tried to play down fears that Ireland could require rescue funding. He said the country had not approached the IMF for funds and he did not think a bail-out was required. Brian Lenihan, the Irish finance minister, also tried to distance the country from any idea of a bail-out, saying it made no sense. The news caps a desperate week for the Irish economy, with government bond prices reaching a record low on Thursday. Bond yields on 10-year Irish Government bonds rose to around 9pc as investors demanded higher returns to shoulder the risk of holding the debt. Market scepticism over Ireland presisted on Friday, despite a statement from Britain and the EU claiming they were over-reacting, given that repeated denials that Greece would be bailed out were followed by its €110bn rescue. Even if Ireland avoids a bailout in the short-term, there is concern as to whether it can borrow at reasonable rates next year. For many investors it is no longer whether the Irish government formally approaches the European Financial Stability Fund (EFSF) for a bailout, but when. Ireland blamed part of the surge in borrowing costs on “unintended” comments from German officials about a new permanent rescue mechanism for the eurozone that would force private debt holders to help shoulder the costs of future rescues. Although Germany has made clear the new mechanism would not apply to existing debt, the plan has spooked markets, raising fears of a domino-effect on peripheral euro members that only weeks ago appeared to have weathered the worst crisis in the single currency’s bloc’s 11-year history.